Hi, Deliveries can vary from store to store and is decided by DC, our store gets deliveries on Mon, Tue, Thur, Fri and Sat. Do B&M still sell things like the Laser Screwdriver and stuff? They sell The Twelfth Doctor sonic screwdriver and remote control Dalek. 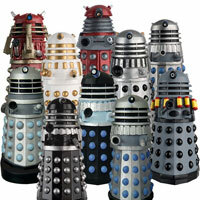 My local store is getting 6 tardis sets on Monday. I will be near the Bude store on Sunday. Will pop in to see if they have any. Phoned a branch in west yorkshire. It seems as though its part of their autumn / christmas stock and they said it might be a few weeks before they get these in. I wonder if there are any B and M employees who might have a few tucked aside for themselves as they hit the shelves. This whole “Christmas stock” malarkey has been said on a few online forums. I wonder why they didn’t reveal them closer to their release date…. They (if you mean B&M) didn’t reveal anything, we did, do you see them on B&M’s website, No, and everything is happening as we said it would quote The official release date for these sets is week commencing 13th August in Selected stores although they could arrive sooner / later. Stocks started to arrive on 10/08/2018. B&M tell me they are in the Warehouse but not all stores are allocated to have them. Could they not make it easier to buy the items? Rang several stores in Manchester and they won’t be getting them. I have rung around all my stores close and far on the south coast and not one of them is getting the Tardis in. After all this anticipation it looks like I won’t be able to get one. Total farce really, what’s the point in this if people can’t get them? I assume there will be a few stores with them and the ebay scalpers will hoover them up and they will be £50-60 within a week. JonVic I would say email and complain but I sent a question about the sets yesterday and automated reply says allow 14 days to respond. Ridiculous! Yes, I do think I am going to complain as the customer service on the phone has been pretty poor as well. With one exception the staff don’t seem to understand the way their own store works and in a couple of cases they seemed reluctant to even check stock for me. If they are going announce these sets on social media and try to create hype about them then there needs to be transparency on what is available, where and when. Surely that’s not too much to ask? They want this Doctor Who line to be a success and so do we, so we all need to work together to make sure the stuff is spread so everyone gets what they want. If they don’t do this it’s doomed! They don’t announce any of these on social media themselves and they are not worried as this is a tiny tiny part of their business. @booboo: Ah, I thought they had announced them on Twitter, but it seems checking back on that I may have been mistaken. Just as well for sites such as this eh? Well, I suppose the next few days will be telling and we will see which stores do get them in even if the staff seem to think they won’t have them. If you give them the product code for the non-Tardis figures they are clearly just quoting the current stock of 2017 figures. It seems as if it just a case of seeing what turns up on the lorry and hoping for the best! Unfortunately the triple figure sets are all put under the same product code so its practically impossible to track down the easy way using Torex. @JonVic was this the Customer Service at a store or Head Office’s Customer service? any calls at stores will normally be picked up by supervisors/managers depending on who is available at the time. B&m are probably the worst to get these kind of exclusives. Tried 4 B&M’s in my area just to see if they’re stocking them and no one answers the phone :’) so frustrating. Does anyone know what stores in SE London/Kent area get these? Why do the twelfth doctor figures never have a waistcoat? There are very few occasions when no waistcoat is worn especially with that jacket. 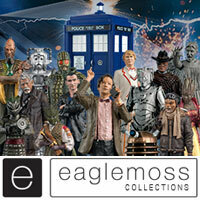 Not all the stores will be stocking them, example Sale in Manchester will be getting the figure sets but not the Tardis. Dusted my displays and cabinets but made no room for these except the Tardis. 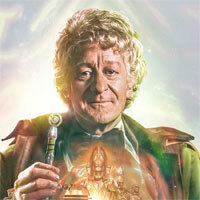 That 4th Doctor looks good. So we can assume that’s 4 of each of the three packs. I wonder if they get re-stocks. So basically, most people will have to buy them off ebay & suchlike. Half the stores won’t get them in, a number will sell out immediately with no re-stocks, etc. Unlike my local B&M that took about 3 months after they were released to get them in & by then I had already bought them off the web. Is there is list of which figures are new variants (distinct rather than slight repaints). I am sure I saw it somewhere on this site but can’t find it. Also, has anyone established if the TARDIS is a canon design or if this just some obscure repaint of the 4th Doctor’s TARDIS. 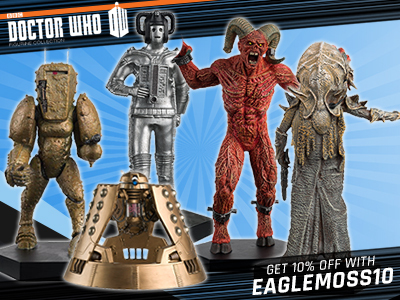 If the latter, I don’t think I’ll bother with that set…Unless the 3rd Doctor is a brand new variant. It’s both a canon design and a repaint of the 4th doctor’s tardis. Looks amazing though. It is canon but is also a repaint. 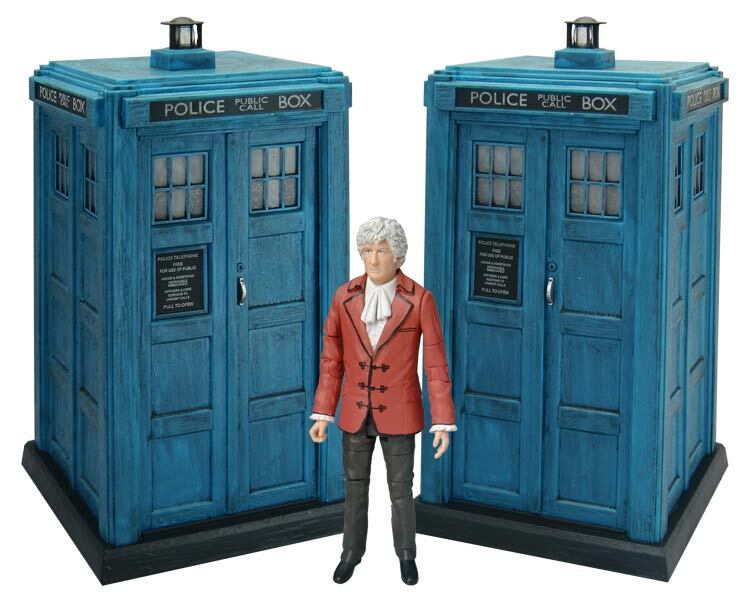 The 3rd doctor is a variant of the one found in the 12 doctor set. Its also proving to be very popular and could sell out fast judging by a recent poll mentioned on this page. Cool – cheers. Which story did the 3rd Doctor appear with that design TARDIS? I.e. the exterior used in 4th Doctor era and black base? The TARDIS design was seen in Season 9, but with darker windows, and blue base. 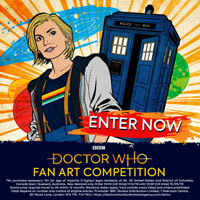 So this isn’t an official TARDIS design. From what I can gather the TARDIS has never had a black base and the exterior looks nothing like anything that was used in the 3rd Doctor era. I wonder what processed them (is it CO?) To paint the base black? Annonymous, we start getting into TARDIS prop history here. There are times the TARDIS had a black base, however most of the times during Pertwee it was more about camera lighting that made it look black. This one in question is debatable as it appears to be sourced from a photo when the TARDIS was in the console room of the Master. They either needed a rush base and used something black or it is shadow. We also start to get into the actual shape of this box. It is nothing like what the actual Pertwee prop was. For the CO releases they have used the same wall design and base for all classic TARDISes, just changing the roof from Flat to stacked. A real Pertwee/early Tom should have a thinner non tappered base, a completely different lamp, a very wonky flat roof and reversed signage (black text on white). Very frustrating when CO just do something half arsed. 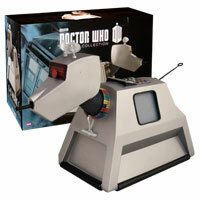 I believe all the Classic TARDIS toys are based on the dimensions of the Yardley-Jones prop. 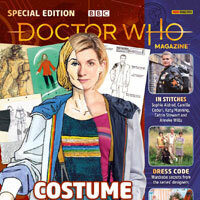 Originally the idea was to do different TARDISes for each set, e.g. The 1st, 4th and 7th Doctors would all have accurate boxes. But due to some inflation in oil prices or something, that became financially unviable, so as a result they had to alter the already designed 7th Doctor TARDIS to doubt as a 1st and 4th Doctor TARDIS as well, resulting in two TARDISes entirely inaccurate and one which now was slightly inaccurate. Hoping Wishaw, Motherwell or Hamilton get these in , they’ve gotten every other set over the years in, the sonic and the Big Dalek so fingers crossed…. Have been keeping an eye every day this week and will continue to do so. I’ve got a couple of branches fairly handy so will holler as soon as anything turns up. I was chatting to a member of staff in B&M in Sale Manchester yesterday. He said they get deliveries Sunday and Tuesday’s. Been told as you were by B&M Monday 13th. Will be looking in my 2 local B&Ms Monday onwards daily & will give updates where I can. You said it . Nice Underworld reference. Was almost tempted to say it myself. Does the 3rd doctor and Tardis have the same code as previous sets? no because its a different price, the product codes and prices are clearly shown above? I’m not sure, I hope so. The one at the forge got the old sets in, though they still have a few of the 9th Doctor sets left. The 10th Doctor tuxedo figure wasn’t a B&M exclusive and, like the 12th Doctor figure, can be found in Forbidden Planet/your local sci-fi shop. The least of the 4 is the auton and doctor/brig set. If i can get one i,ll pick one up.The other 3 are a must have. 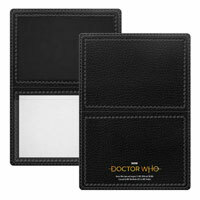 Planning on getting the 11th and 12th doctor set. Not too interested in the other sets as I don’t really have a lot of classic who figures to along side with them. My local store has space on the shelves and price tags underneath for these sets. Hopefully that means it won’t be too long until they hit the shelves. Is the 3rd Doctor’s TARDIS the same scale as the flight control one? Yes. It’s a repaint of the 4th Doctors TARDIS. Why is the tardis so bright? In some Pertwee episodes the Tardis is painted a fairly light blue. 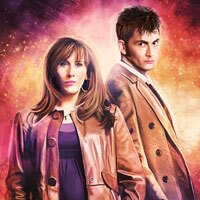 I cant find pics of a tardis with a black base. Just rang they have 10 thousand on the way to distribute to all stores! I think we will all get one! Next week apparently. 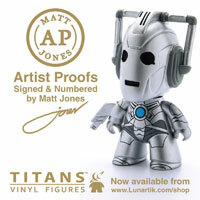 10,000 that’s a lot of figures, plenty for everyone so no need to panic buy! How many of each set do they usually do? Ah, that might be a slight problem then it if all 2,700 try to find them and buy them. Luckily my local B&M is putting that set on reserve for me so I have no worries about it. My B&M is a home store and always stock huge amounts of these Doctor Who sets every year. Not sure where the idea has come from that homestores don’t stock DW stuff but I’ve seen quite a few people saying it. The Home Store near me stocks more Doctor Who items than the regular store. That’s where I’ll be heading this weekend to see if hey have any in. Cannot wait. If you make customs then this range is a good place to find rare parts that you need, like 3rd dr coat or unearthly child 1st dr coat.